Well, a new obsession has begun in the hive. What are Marli and I head over heels for? Blythe dolls of course! I have been in love with Blythe for a long time, but sort of forgot how wonderfully adorable they are until a couple of days ago. 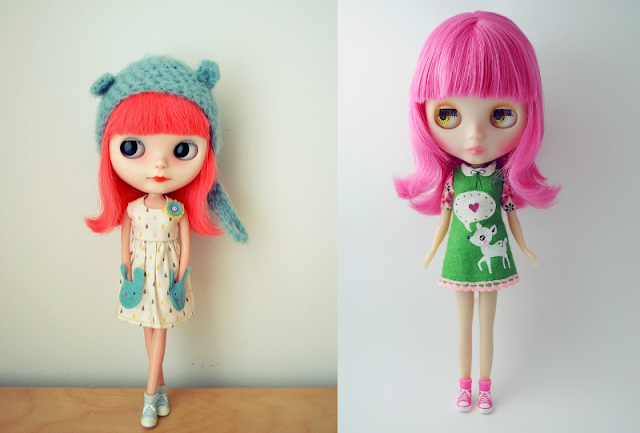 Marli and I have been searching the web for cute little Blythes and making our wish lists much to my husbands dismay. 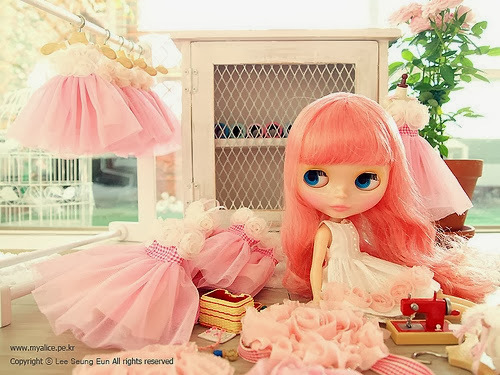 Unfortunately being a Blythe junky is quite an expensive hobby and I've been thinking of ways to justify the price of these dolls with the old man. Until Marli and I get our hands on one of these cuties we will just have to admire them from afar. I've made a Pinterest board full of cute little ladies (yes, it's come to that.) and Marli loves scrolling through it and pointing out what she wants for her doll when she gets one. Here are some of our favorite ones! Maybe I'm a weirdo but my desire to have one of these dolls is so strong! Look at their sweet faces and creepy eyes! 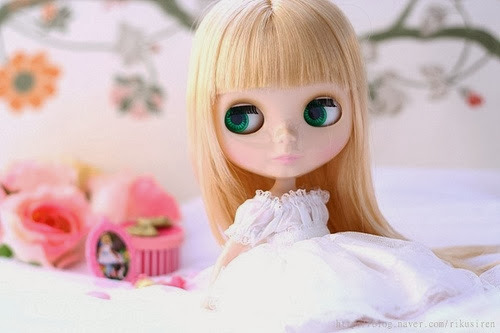 I discovered that there is a whole new level to little Blythe, customized dolls. 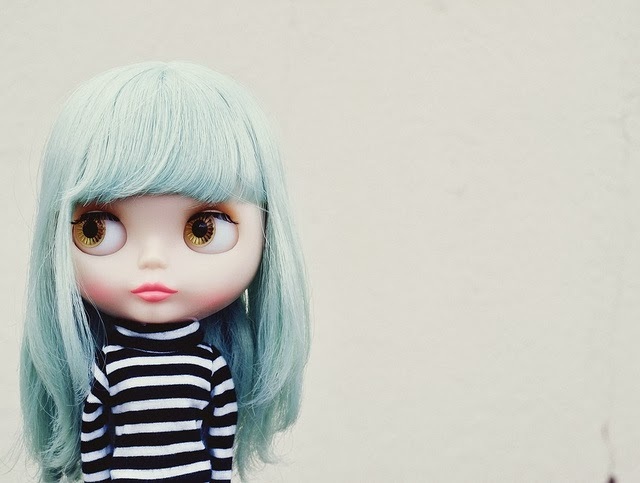 People go bananas making their dolls super special with makeup, freckles, expensive hair, the works! Some of the dolls go for upwards of a grand! It's insane! 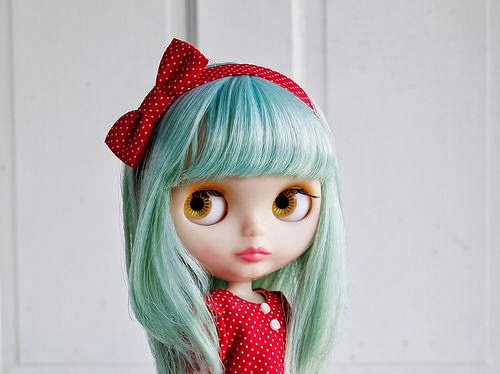 For now I'll stick to a beginners Blythe and see where that takes me. one.// two.// three.// four.// five.// six.